If you haven’t already experienced the world-renowned cuisine of Santa Fe, then this fall or winter is the perfect time to escape to the city different for a culinary experience you’ll never forget. In recent years, it’s no secret that Santa Fe has earned itself a stellar reputation from foodies the world-over. The rich cultural diversity of Santa Fe, which has melded Anglo, Hispanic, & Native American cultures together, has created a fusion of flavors unique to the Southwest. 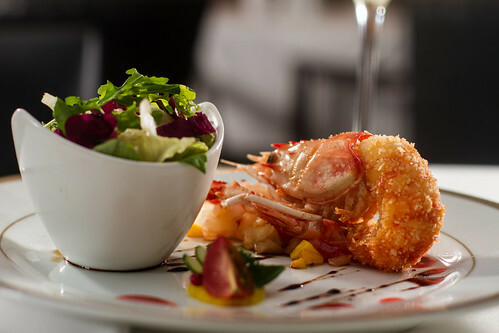 The the legendary and innovative flavors of Santa Fe, especially those involving our local chile, will please your taste buds from first bite. 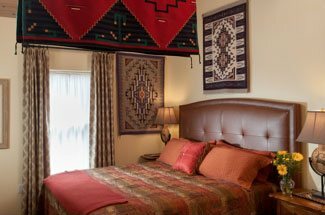 While here in Santa Fe, delight your senses at the more then 200 restaurants, which specialize in everything from traditional New Mexican home cooking to contemporary fine dining to local farm to table discoveries. If you’d like to take your food journey to the next level, then we have just the experience for you. Stay with us this fall or winter, and try your hand at making some of our delectable cuisines in a cooking class at the famous Santa Fe School of Cooking.Located just minutes from our luxurious Santa Fe bed and breakfast, the Santa Fe School of Cooking specializes in a variety of programs and cooking classes. The Santa Fe School of Cooking is an internationally acclaimed culinary school that specializes in southwestern cuisine. Southwestern cooking classes are offered on an almost daily basis throughout the year. 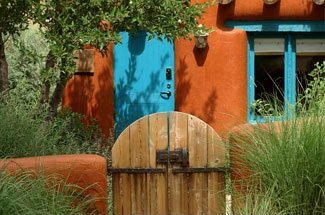 The menus offered in these classes will provide techniques in a full range of southwestern cooking, from traditional New Mexican, Native American, Mexican, Spanish, vegetarian and contemporary Southwestern cuisine, and are taught by some of the best chefs in the Santa Fe area. If you want a more intensive cooking experience, then join the 3-day long Southwestern Culinary Bootcamp. This is a very hands on, interactive experience, that will reward you with a meal at the end of each day. Are you already an avid fan of the famous New Mexican Chile? Then the Green Chili Workshop may be just your thing; or maybe you’d rather experience the Red Chile Workshop. Either way, you’re sure to gather a new appreciation for our state vegetable as you explore its culinary history and connection to the southwestern culture. The Santa Fe School of Cooking offers more than cooking classes as well; they also offer restaurant tours through Santa Fe for those short of time, but big on appetite. Each stop along these delectable tours will include private tastings with the chefs themselves. There are several tours to choose from, but include such popular restaurants as Restaurant Martin, Luminaria, and 315 Restaurant & Wine Bar. We look forward to hearing about your cooking adventures during your time in Santa Fe!